The John Hammond house, c. 1893, on the proposed route. In 2017, the local government in Maple Ridge asked our friend Jackie Chow to develop a tourist-friendly cycling route in the urban part of the city. Jackie asked me for help, since she knew me as an oddball urban explorer and mapmaker. We agreed to focus on flat, safe, easy cycling to accommodate kids, parents and seniors. This restricted us to a couple of choices, since much of Maple Ridge is hilly and the direct east-west routes are very busy. 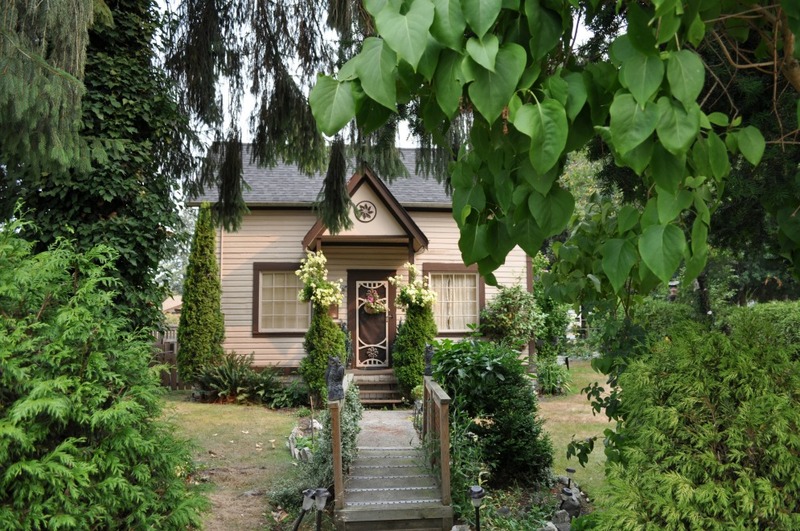 We settled on a route connecting two historical zones, downtown Maple Ridge (also known as Haney) and historic Port Hammond. At the western end, cyclists get a view of the Fraser River at one of the few public access points in the city. The proposed initial route is 6.2 kilometres in length one way, or a 12.4-kilometre round trip, with an option to add a loop in future — if the local government can invest in some improvements. I want to thank Leanne Koehn and James Rowley from the Hammond neighbours for their early encouragement, along with Kathryn Baird and Lino Siracusa from the City’s tourism and economic development offices, and Colleen Macdonald from Let’s Go Biking. 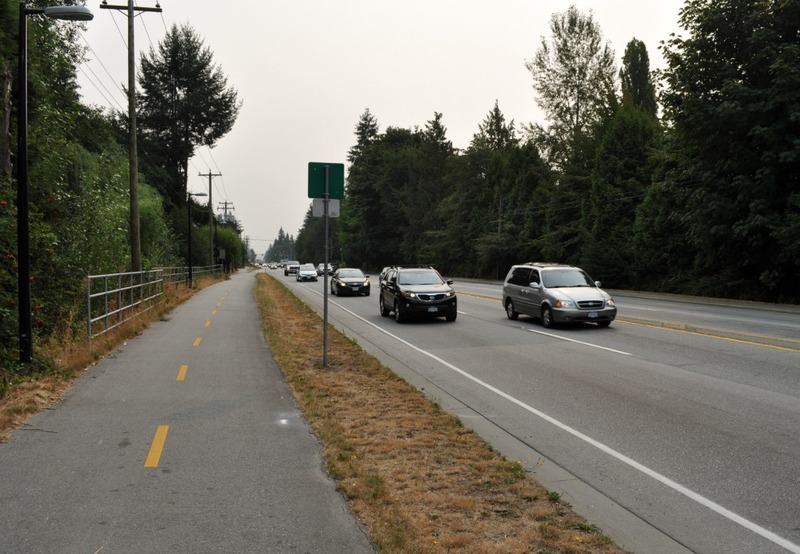 The proposal has been reviewed and approved by the HUB cycling committee of Maple Ridge and Pitt Meadows, but there are a few more steps required before it becomes a visible reality. The Harry house, 1928, faces Hammond Park. 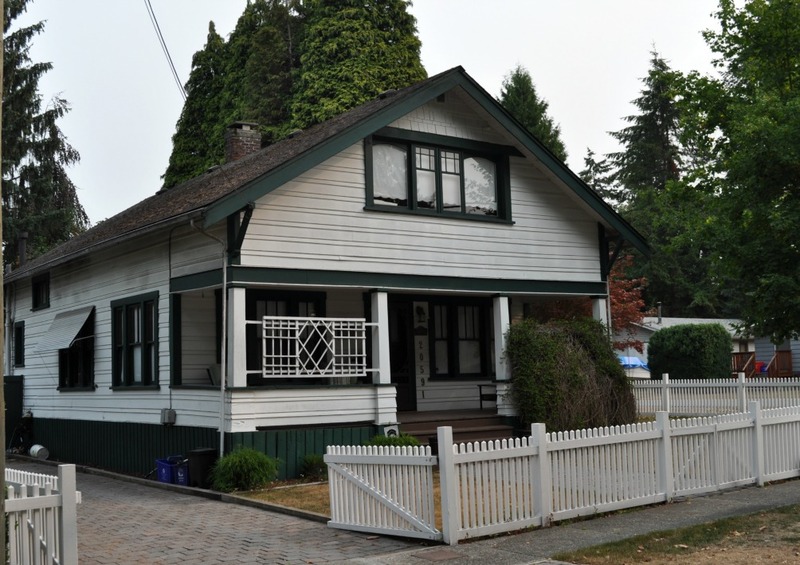 With the Hammond house and others in the neighbourhood, it is listed in the 2018 Maple Ridge Heritage Inventory compiled by Donald Luxton. 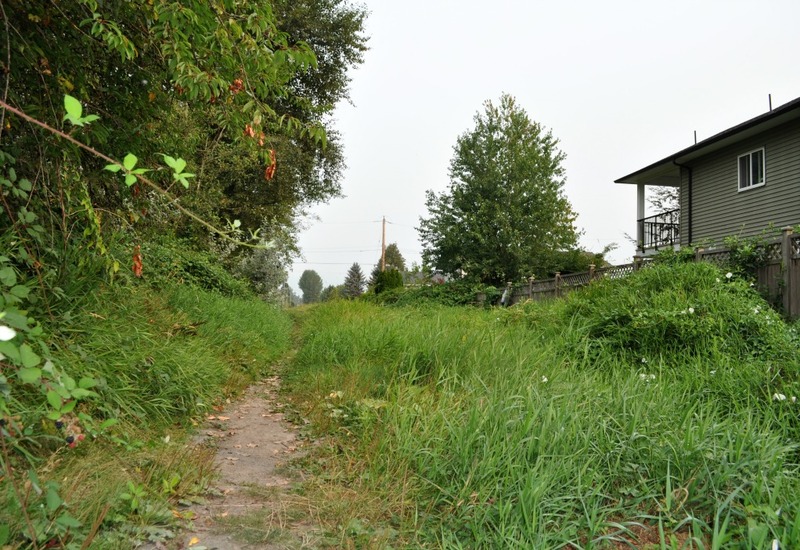 To the extent that there is cycling tourism in Maple Ridge, much of it takes place on limited sections of riverside dyke that connect with more extensive dykes in neighbouring Pitt Meadows. 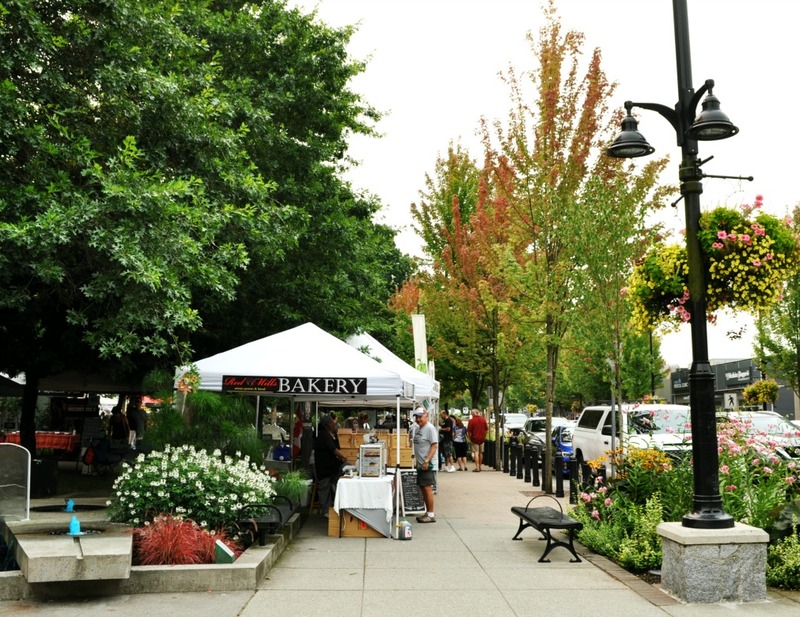 One highlight of this network is Osprey Village in Pitt Meadows, a destination for cyclists from the Tri-Cities and Langley. Many of them stop at the Stomping Grounds café for food and drink. The proposed route presented here creates part of an urban link between Osprey and downtown Maple Ridge. 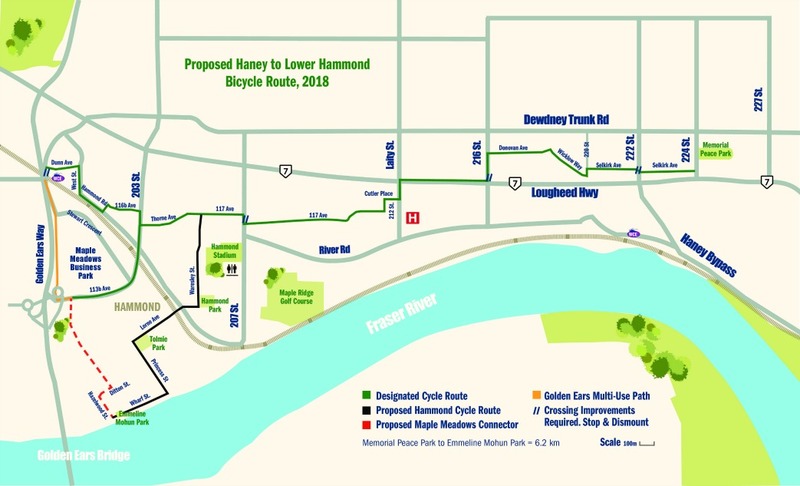 To make the trip more attractive for day-trippers travelling through the region, we need a new and safer connection across the Katzie Slough into Hammond, and we need a cafe or two in the Hammond neighbourhood — an idea that is contemplated in the 2014 Hammond Area Plan. 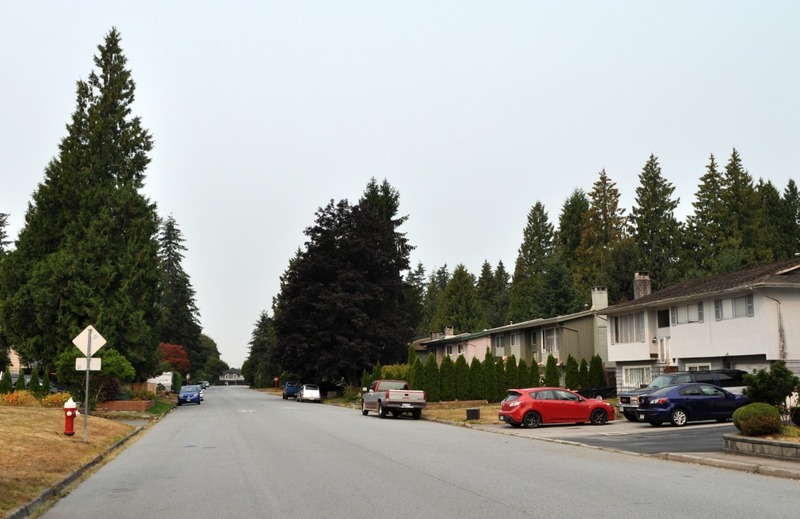 In the meantime, we’ll call our new route a “family cycling route”, and hope to attract Maple Ridge residents looking for some easy cycling near their own homes. A small boatworks on Wharf Street west of Mohun Park. 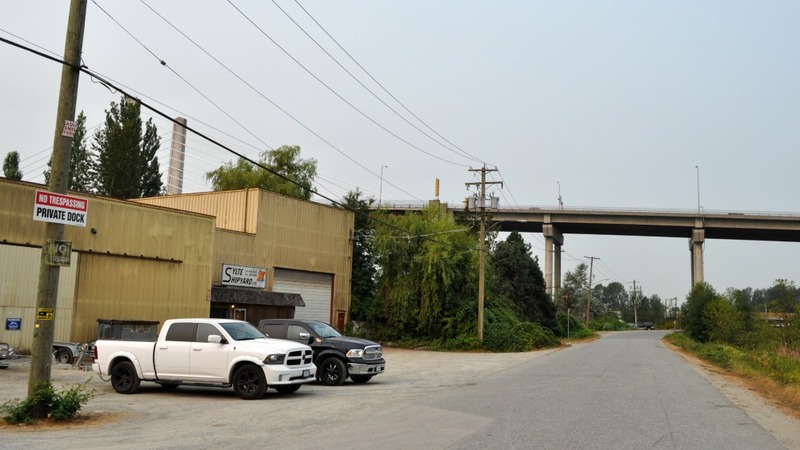 The street runs under the Golden Ears Bridge and stops abruptly at the boundary of the Katzie First Nation reserve. To create a safe cycling link to Osprey Village and the regional Greenway system would require an access agreement with Katzie or a new cycling/pedestrian bridge over Katzie Slough. Our friend Greg Stuart recently joined me on a test run along the initial 6.2-kilometre route. We tried to mimic the experience of a parent with young children, and decided that that even at 6.2 kilometres on flat terrain, 45 minutes is too long a cycle for a most young kids. This will probably work best for people aged 14+. Three quarters of the 6.2 km out-and-back is already designated and signed for cycling. To make this route better known and used, the City government should designate the remaining Hammond leg (shown in black on the map) for cycling, and add signs and street markings over time. Beyond the western end of our proposed route, there is the start of a future loop. Shown as a dashed line on the map, it is all public or utility land. 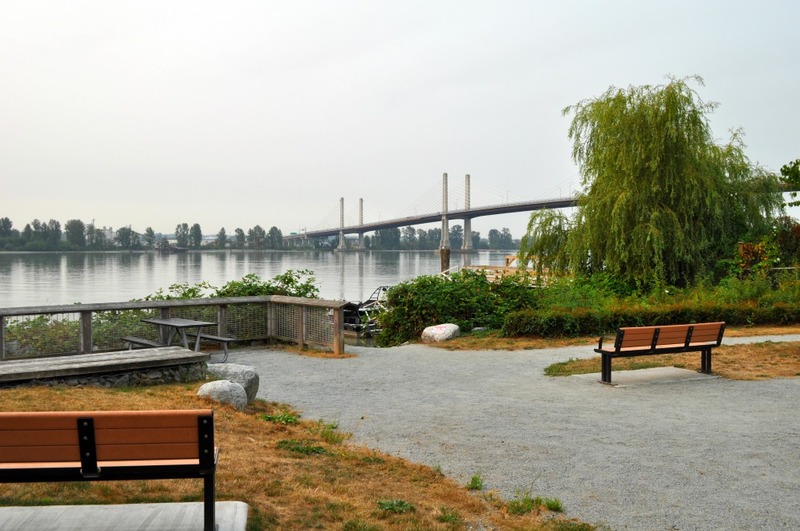 It could be improved to create a connection to the Golden Ears multi-use path, and to the overpass that leads to Osprey and the Pitt Meadows dykes. Cycling author and blogger Colleen Macdonald has suggested that, rather than approaching the City government for official approval, we should simply encourage the public to use it. We would approach the City after demand takes shape. This post is a small step in that direction. A city right-of-way connects Wharf Street with cycling pathways to the northwest, but it is an impassable bog through much of the year. To the north and east, old Hammond gives way quickly to long stretches of infill housing from the 1960s, 70s and 80s. History here is invisible: within living memory, this land was occupied by orchards and berry fields. A recently opened multi-use path along Lougheed Highway is part of the proposed route. Noisy but safe, the need to include this feature shows the scarcity of east-west cycling choices in a car-dependent city stretched along the Fraser River. The hospital, with no through traffic, sits to the south of this location, and the city cemetery lies conveniently to the north.